The 166th running of the world's greatest chase, the John Smith's Grand National, has attracted a high-class entry of 84, an increase of two on last year's figure. With a prize fund of £975,000, the 2013 Grand National will be the most valuable jump race in Europe and among the richest in the world. 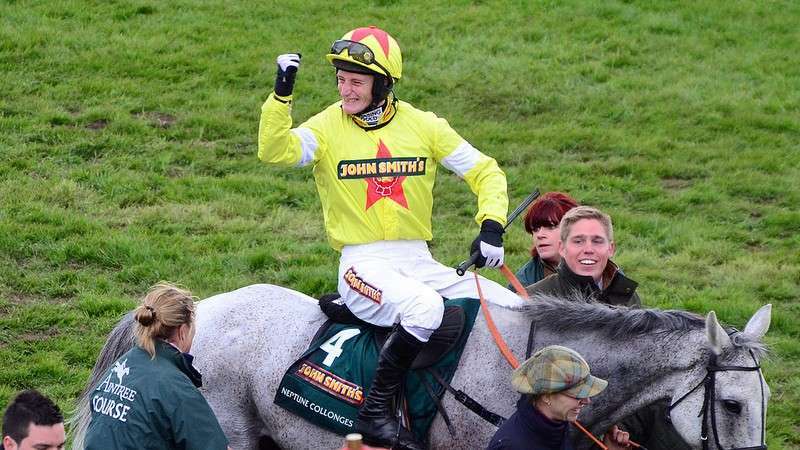 Second last year to the now retired Neptune Collonges, Sunnyhillboy could bid to go one better and the 2012 third and fourth, Seabass and Cappa Bleu, are also both entered again. Cappa Bleu is one of eight entries trained in Wales, along with recent Welsh National second Teaforthree (Rebecca Curtis), Always Waining, who has won the last three runnings of the John Smith's Topham Chase over the Grand National fences, Gullible Gordon and Mumbles Head (all with Peter Bowen) and 2011 Scottish Grand National winner Beshabar, Saint Are and Tartak (all with Tim Vaughan). Champion trainer Paul Nicholls has four chances to gain a second John Smith's Grand National this year, headed by Tidal Bay but is also represented by What A Friend, Harry The Viking as well as Join Together, who was second over the famous fences in the Betfred Becher Chase in December. Jonjo O'Neill, who went so close with Sunnyhillboy last year has five entries in 2013. In addition to Sunnyhillboy, he has also entered the multiple Grade One scorer Albertas Run, Cheltenham Festival winner Alfie Sherrin, Lost Glory and Mister Hyde. Ballabriggs, sixth in 2012, is one of five entries for Donald McCain this year along with Across The Bay, Cloudy Lane, who has run three times in the John Smith's Grand National, Fabalu and Weird Al. There are a total of 32 Irish-trained entries, with Ireland's champion jump trainer Willie Mullins having seven hopefuls, more than any other handler. The Mullins septet includes Prince De Beauchene and On His Own, who was still travelling well in third when falling at Becher's on the second circuit of last season's John Smith's Grand National. Ted Walsh has two strong contenders this year, including last year's third Seabass and Colbert Station, who entered the reckoning for the John Smith's Grand National when taking a valuable handicap chase at Leopardstown over Christmas. 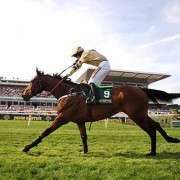 The last two winners of the Irish Grand National – Organisedconfusion (2011) and Lion Na Bearnai (2012) – are also engaged, while leading owner J P McManus has seven possibles spread across five trainers and there is one entry from France, experienced chaser Odysseas, who is trained by Yann Porzier. Weights for the John Smith's Grand National are framed by the British Horseracing Authority's Head of Handicapping, Phil Smith, and will be revealed at the annual John Smith's Grand National launch on Tuesday, February 12. First scratchings' deadline February 26, second scratchings' deadline March 19. Five-day confirmation stage April 1, final declaration stage 10.00am, April 4. Maximum field size of 40, plus four reserves. Form figures supplied by Weatherbys and are correct up to and including the racing of Monday, January 28. Since this list was posted many of the original entries have been withdraw, if you would like to see a full list of the horses remaining in the 2013 Grand National please click here.